Ready to start your Birdshack? Welcome to the Internet websites of BirdShack, its subsidiaries and affiliates, (collectively, “BirdShack,” “we,” or “us”) which operate the , and other websites (each, a “Website”). The pages, facilities, services, and capabilities of or accessible through the Website are designed to let you communicate with BirdShack and access data, information, tools, services, and other materials about us. This Agreement sets forth the entire, final, and exclusive agreement between BirdShack and you relative to the subject matter hereof and supersedes all previous oral and written terms, representations, or understandings concerning such subject matter. Without limitation, this Agreement shall supersede any subsequent terms or conditions of any purchase order issued to BirdShack by you with respect to goods or services offered on or through the Site, regardless of whether such order is signed on behalf of BirdShack. A printed version of this Agreement and of notice given in electronic form, if any, shall be admissible in judicial or administrative proceedings based upon or relating to this Agreement to the same extent and subject to the same conditions as other business documents and records originally generated and maintained in printed form. BirdShack reserves the right to change, modify, amend, and/or update this Agreement at any time with or without prior notice and for any reason. Changes to this Agreement shall be effective when posted. In case of any material change to the Agreement, we will provide notice on the Website of any update to the Agreement and post the updated Agreement. You are responsible for reviewing this Agreement each time you use or access any Website. You agree that continued use of a Website is an acknowledgment and consent to any terms contained in this Agreement, as it may be amended from time to time. (e) Notify BirdShack immediately upon discovery or suspicion of compromise of the confidentiality of any Password. You acknowledge and agree that you shall be solely liable and responsible for all use of the Website accessed in connection with your Password(s) and all transactions effected in connection with the Password. You further agree that BirdShack shall not be responsible for your failure to comply with this Section or any loss or damage arising out of, or related to, your use of your Password by you or anyone other than BirdShack. (z) Reverse engineer, decompile, modify, or create derivative works from any software accessible by or on the Website unless specifically authorized by the owner of the software. (c) Not disclose the Member Area Materials or any information contained therein to any third parties, including without limitation, any employees or other agents, except as specifically authorized by BirdShack in writing. Subject to all the restrictions set out in this Agreement, including in Article 5 (Limitations on Use – Open Areas and Member Areas). You may download a single copy of the Member Area Materials on this Website provided that: (w) you keep intact all copyright and other proprietary notices; (x) you do not use the Member Area Materials in a manner that would compete with or damage the goodwill associated with BirdShack; (y) you make no modifications to the Member Area Materials, and (z) strictly control dissemination and use of the Member Area Materials. If you believe that any third party has violated this Agreement or infringe any of BirdShack rights in this Website or the materials contained on this Website, including the Member Area Materials, please contact us at: 971-319-2204 (Attention: Marketing). All remarks, suggestions, ideas, graphics, or other information communicated by you to us through the Websites (collectively, the “Submission”) will forever be the property of BirdShack and you waive all of your rights, including but not limited to moral rights, therein if applicable, provided that you will continue to be responsible for the content of the Submission including, without limitation, any indemnification obligations related to such Submissions. BirdShack will not be required to treat any Submissions as confidential, and will not be liable for any ideas for its business (including without limitation, product or advertising ideas) and will not incur any liability as a result of any similarities that may appear in future BirdShack operations. Without limitation, BirdShack will have exclusive ownership of all present and future existing rights to Submissions of every kind and nature everywhere and will be entitled to use the Submission for any commercial or other purpose whatsoever without compensation to you or any other person sending the Submission. BirdShack retains the right to review, edit or delete from the Websites any Submission which BirdShack in its sole discretion considers illegal, offensive, in violation of a third party right or otherwise inappropriate. However, you acknowledge and agree that BirdShack is under no obligation to control or monitor any Submissions published by your or any other Website users. (r) contains links to other sites that contain the kind of content, which falls within the descriptions set out at in (a) to (q) above. In connection with your use of the Website, you consent to BirdShack recording any communication, electronic or otherwise, between you and BirdShack and retaining any information and data you submit while using the Websites. In using the Website, you may be permitted to communicate electronically with BirdShack by sending electronic mail to BirdShack. You acknowledge and agree, however, that only general information or inquiries may be submitted to BirdShack via electronic mail and any other submissions or communications on or through the BirdShack (e.g., the placement of orders) may be submitted only in accordance with the express instructions set forth on the Websites for such submissions or communications. Please do not send any time-sensitive communications to BirdShack as BirdShack cannot be responsible for responding to any such communications. BirdShack may seek to gather information from the user who is suspected of violating this Agreement, and from any other user. BirdShack may suspend access or use by any users whose conduct or postings are under investigation and may remove such material from its servers as it deems appropriate, without notice. If BirdShack believes, in its sole discretion, that a violation of this Agreement has occurred, it may edit or modify any submission, posting or e-mails, remove the material permanently, cancel postings, warn users, suspend users and Passwords, terminate accounts or take other corrective action it deems appropriate. BirdShack will fully cooperate with any law enforcement authorities or court order requesting or directing BirdShack to disclose the identity of anyone posting any e-mails, or publishing or otherwise making available any materials that are believed to violate this Agreement. YOU WAIVE AND HOLD HARMLESS BIRDSHACK FROM ANY CLAIMS RESULTING FROM ANY ACTION TAKEN BY BIRDSHACK DURING OR AS A RESULT OF ITS INVESTIGATIONS AND/OR FROM ANY ACTIONS TAKEN AS A CONSEQUENCE OF INVESTIGATIONS BY EITHER BIRDSHACK OR LAW ENFORCEMENT AUTHORITIES. This Website is intended for use by individuals who are 14 years of age or older only. If you are not 14 years of age or older, do not use this Website. The Website may, from time to time, contain links to other websites not be under the control of BirdShack (“Linked Sites”). BirdShack is not affiliated or associated with the sponsors, owners or producers of any Linked Site, and we explicitly disclaim any responsibility for the accuracy, content or availability of the information products, and/or services found on or through any Linked Site. BirdShack is not responsible for the contents of any Linked Site. BirdShack provides such links only as a convenience, and the inclusion of any link does not imply endorsement by BirdShack of the Linked Site or any association with its operators unless otherwise stated. We do not make any representations or warranties as to the security of any information (such as credit card and other sensitive information) you might give on any Linked Site. You are responsible for and must provide all telephone and other equipment and services necessary to access the Website. You agree to indemnify and hold BirdShack, its officers, agents, employees, suppliers, vendors, and service providers, harmless from any claims, liability, and expenses, including reasonable attorneys fees, whether in tort or in contract, that it or any of them may incur by reason of or arising out of any claim, including claims for copyright infringement, defamation, invasion of privacy, or infringement of rights of publicity, that is made by any third party relating to your breach of the Agreement or use of this Website. ALL WEBSITES ARE PROVIDED BY BIRDSHACK ON AN “AS IS” AND “AS AVAILABLE” BASIS. 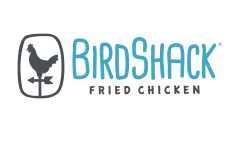 BIRDSHACK MAKES NO REPRESENTATIONS OR WARRANTIES OF ANY KIND, EXPRESS OR IMPLIED, AS TO THE OPERATION OF ANY WEBSITE, THE INFORMATION INCLUDED ON ANY SUCH WEBSITE, OR THE MATERIAL OR MERCHANDISE MADE AVAILABLE THROUGH ANY WEBSITE. TO THE FULLEST EXTENT PERMITTED BY LAW, BIRDSHACK DISCLAIMS ALL WARRANTIES, EXPRESS OR IMPLIED, ON THE WEBSITES, AND THE MERCHANDISE OFFERED FOR SALE ON ANY WEBSITE, INCLUDING, BUT NOT LIMITED TO, THE WARRANTIES OF MERCHANTABILITY, FITNESS FOR A PARTICULAR PURPOSE, NON-INFRINGEMENT, TITLE, CUSTOM, TRADE, QUIET ENJOYMENT, SYSTEM INTEGRATION AND FREEDOM FROM COMPUTER VIRUS. BIRDSHACK DOES NOT REPRESENT OR WARRANT THAT THE FUNCTIONS CONTAINED IN ANY WEBSITE WILL BE ERROR-FREE OR UNINTERRUPTED, THAT DEFECTS WILL BE CORRECTED, OR THAT ANY WEBSITE OR THE SERVER THAT MAKES ANY WEBSITE AVAILABLE ARE FREE FROM ANY HARMFUL COMPONENTS INCLUDING VIRUSES. BIRDSHACK DOES NOT MAKE ANY REPRESENTATIONS OR WARRANTIES THAT THE INFORMATION ON ANY WEBSITE IS ACCURATE, COMPLETE, CORRECT, ADEQUATE, USEFUL, TIMELY, RELIABLE OR OTHERWISE. YOU ACKNOWLEDGE, BY YOUR USE OF ANY BIRDSHACK WEBSITE, THAT YOUR USE IS AT YOUR SOLE RISK. IN THE EVENT OF A TYPOGRAPHICAL ERROR RELATING TO PRICE OR QUANTITY OF AN ITEM FEATURED, DESCRIBED, OR OFFERED FOR SALE ON ANY WEBSITE, BIRDSHACK RESERVES THE RIGHT TO REFUSE TO FILL ANY ORDER OR ORDERS THAT RELY ON SUCH TYPOGRAPHICAL ERROR. ALL PRICES AND GOODS LISTED ON THE WEBSITE ARE SUBJECT TO AVAILABILITY AND LIMITED QUANTITIES. CHANGES ARE PERIODICALLY ADDED TO THE INFORMATION HEREIN. BIRDSHACK MAY MAKE IMPROVEMENTS AND/OR CHANGES IN THE WEBSITE AT ANY TIME, WITHOUT PRIOR NOTICE. FOR INFORMATION CONCERNING THE WARRANTY THAT BIRDSHACK PROVIDES WITH RESPECT TO ITS PRODUCTS THAT ARE IDENTIFIED ON THIS WEBSITE, IF ANY, PLEASE SEND AN E-MAIL TO info@birdshackchicken.com. IN NO EVENT SHALL BIRDSHACK, OR ANY OF ITS EMPLOYEES, DIRECTORS, OFFICERS, AGENTS, VENDORS, AND/OR SUPPLIERS BE LIABLE TO YOU OR ANY OTHER PERSON, FOR ANY INDIRECT, PUNITIVE, INCIDENTAL, SPECIAL, OR CONSEQUENTIAL DAMAGES, INCLUDING, WITHOUT LIMITATION, DAMAGES FOR LOSS OF USE, LOSS OF DATA, LOSS OF GOODWILL, LOSS OF PROFITS, WORK STOPPAGE, ACCURACY OF RESULTS, OR COMPUTER FAILURE OR MALFUNCTION, ARISING OUT OF OR IN ANY WAY CONNECTED WITH THE USE OR PERFORMANCE OF THE WEBSITE, WITH THE DELAY OR INABILITY TO USE THE WEBSITE OR RELATED SERVICES, WITH THE RECEIPT OF INCOMPLETE INSTRUCTIONS OR ORDERS, WITH THE NON-RECEIPT OF INSTRUCTIONS OR ORDERS, WITH THE PROVISION OF OR FAILURE TO PROVIDE PRODUCTS OR SERVICES, OR WITH ANY INFORMATION, PRODUCTS OR SERVICES OBTAINED THROUGH THE WEBSITE, OR OTHERWISE ARISING OUT OF OR RELATED TO THE USE OF THE WEBSITE, WHETHER BASED ON CONTRACT, TORT, NEGLIGENCE, STRICT LIABILITY OR OTHERWISE, EVEN IF BIRDSHACK OR ANY OF ITS EMPLOYEES, DIRECTORS, OFFICERS, AGENTS, VENDORS, OR SUPPLIERS HAVE BEEN ADVISED OF THE POSSIBILITY OF DAMAGES. IF YOU ARE DISSATISFIED WITH ALL OR ANY PORTION OF THE WEBSITE, OR WITH ALL OR ANY OF THE AGREEMENT, YOUR SOLE AND EXCLUSIVE REMEDY IS TO DISCONTINUE USING THE WEBSITE. (g) An electronic or physical signature of the owner or of the person authorized to act on behalf of the owner of the copyright interest. This Agreement is for the benefit of BirdShack and its affiliates, officers, directors, employees, and agents, and each shall have the right to assert and enforce the provisions of this Agreement directly on his, her, or its own behalf. This Agreement is made in Alabama, and shall be governed by and construed in accordance with the laws of Alabama except that no conflicts-of-laws provision shall be invoked so as to use the laws of any other jurisdiction. You consent to the jurisdiction of the courts residing in the State of Alabama for all disputes arising out of or in connection with this agreement, and such courts shall have exclusive venue and jurisdiction over such disputes. You consent and agree that venue is proper in the courts within Montgomery County, Alabama. You agree that regardless of any statute or law to the contrary, any claim or cause of action arising out of or related to use of this Website or these terms and conditions must be filed within one (1) year after such claim or cause of action arose. BirdShack controls and operates its Websites from offices located in the Untied States and makes no representations or warranties that the information, products, or services contained on any of the Websites is appropriate for use or access in other locations. If you are using or accessing any of the Websites from other locations, you are responsible for compliance with United States and locals laws in countries from which you are accessing this Website, if and to the extent applicable. Use of this Website is unauthorized in any jurisdiction that does not give effect to all provisions of these terms and conditions, including without limitation this paragraph. If any provision of this Agreement is determined to be invalid, it shall be deemed severed from the remainder of the Agreement to the extent of such invalidity, and all other provisions shall remain in full force and effect. BirdShack reserves the right, in its sole discretion, to terminate or suspend any Password, access, and ability to use the Website at any time, without notice. The provisions of Articles 1, 2, 7, 8, 17, 18, 19, 21, 22, 23, 24, and 25 shall survive any termination of this Agreement. Upon termination of this Agreement, all rights granted to you under this Agreement will cease immediately, and you agree that you will immediately (a) discontinue use of the applicable Website(s) and (b) discontinue use of and destroy or return to BirdShack any BirdShack materials, including the Member Area Materials (unless otherwise agreed to in writing by BirdShack). You acknowledge and agree that any violation of the terms of this Agreement relating to the disclosure, use, copying, distribution, display or publishing of the materials on any Website (including without limitation, the Member Area Materials) and use of the Website may result in irreparable injury and damage to BirdShack that may not be adequately compensable in money damages, and for which BirdShack will have no adequate remedy at law. You therefore consent and agree that BirdShack may obtain injunctions, orders, or decrees as may be reasonably necessary to ensure compliance with this Agreement. You waive any requirement of the posting of a bond that may apply for issuance of any injunctions, orders, or decrees. BIRDSHACK DOES NOT ENDORSE, ASSERT OR STAND BEHIND THE TRUTHFULNESS OR RELIABILITY OF OPINIONS, ADVICE OR STATEMENTS GIVEN OR MADE BY ANYONE OTHER THAN AUTHORIZED BIRDSHACK SPOKESPERSONS IN ANY MANNER ON OR THROUGH THE WEBSITE. OTHER USERS ARE NOT AUTHORIZED BIRDSHACK SPOKESPERSONS. This Agreement and the documents incorporated by reference herein, if any, may contain forward-looking statements within the meaning of Section 27A of the Securities Act of 1933 and Section 21E of the Securities Exchange Act of 1934. Such statements are based on management’s current expectations and assessments of risks and uncertainties and reflect various assumptions concerning anticipated results, which may or may not prove to be correct. Some of the factors that could cause actual results to differ materially from estimates or projections contained in such forward-looking statements include the pattern of brand sales, including variations in sales volume within periods; competition within the relevant product markets, including the ability to develop and successfully introduce new products, ensuring product quality, pricing, promotional activities, introduction of competing products and continuing customer acceptance of existing products; loss of distributorship rights; risks inherent in acquisitions and strategic alliances; the loss of one or more key employees; the effects of a prolonged United States or global economic downturn or recession; changes in costs, including changes in labor costs, raw material prices or advertising and marketing expenses; the costs and effects of unanticipated legal or administrative proceedings; and variations in political, economic or other factors such as currency exchange rates, inflation rates, tax changes, legal and regulatory changes or other external factors over which BirdShack has no control. BirdShack has no obligation to update any forward-looking statement in this Agreement or any incorporated document.